On behalf of the Asian Pacific Society of Interventional Cardiology (APSIC), I welcome you to our newly revamped APSIC website. Since its formation in 1993, the Society has made considerable progress in its growth and development. 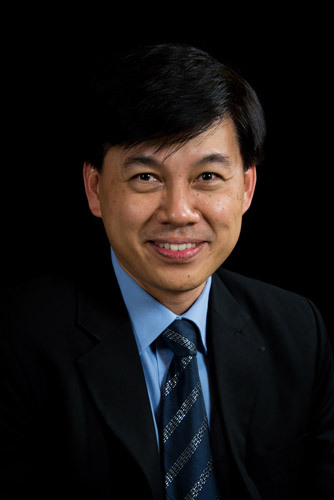 Comprising 25 Asian-Pacific member countries and regions, and with more than 100 registered fellows, the Society aims to provide a forum for sharing knowledge and experience in the field of catheter-based therapies as well as developing a joint academic research and educational programme. APSIC is made up of an active Board with members appointed through their national cardiac societies; a Board of Trustees comprising past Presidents and Secretaries, and Scientific, Research, Credentialing and Fund-Raising Committees. It has a permanent secretariat which is currently based in Hong Kong, and the Society operates as the official interventional cardiology society arm of the Asian Pacific Society of Cardiology (APSC). Its President is an automatic member of the APSC Council. As the leading society of the entire AP region, the Society has embarked on 4 new initiatives in the last 5 years. 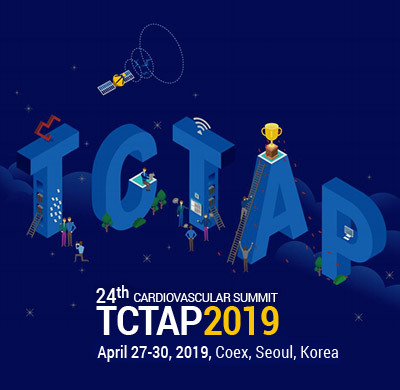 The first has been the designation of the Asian Interventional Cardiovascular Therapeutics (AICT) meeting as the official scientific meeting of the Society in 2013. Since then, the meeting has gained international recognition and widespread acceptance and support. The Society is honoured to be having its first combined meeting with the AsiaPCR meeting next year. 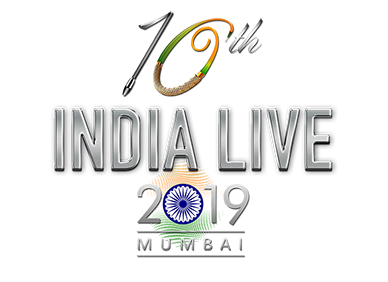 This will be another premier Asian event which will bear the hallmarks of the educational know-how of the PCR family of worldwide meetings and the technical expertise of the Asian Pacific region. 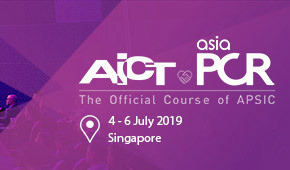 The inaugural meeting (AICT-AsiaPCR) will be organized in Singapore in the first week of July 2019. Subsequently, hosting responsibility will alternate between Singapore and another AP country. On the scientific front, the Society has designated the ‘AsiaIntervention’ journal as its official scientific journal. With its 5 Chief Asian editors on board, the journal endeavours to publish original Asian research work and content with a distinct Asian flavor. This will help to boost the research activities and communication in the region while providing it with a global identity. The third initiative is the modification and upgrade of the website which you are currently viewing. The new website will serve as a platform where members can share their personal contacts, receive latest updated news on interventional cardiology, learn of procedures which are of educational value and interact with experts on matters of interest. It will also be a link to our official AsiaIntervention journal website, as well as to the webpages of our industry partners for product updates. The Society has also initiated a few AP level research projects such as the Asia Pacific Transcatheter Aortic Valve Implantation (TAVI) registry and the South East Asia-based long-term evaluation of platinum chromium everolimus eluting stent (SYNERGY®, Boston Scientific). This will serve as the starting point for more projects to be carried out throughout the region under the auspices of the Society. With a new wave of enthusiasm sweeping through the APSIC driven by a new generation of interventional cardiologists, I am optimistic of the further development of APSIC in the global arena and look forward to engaging members and the various world bodies for the common good of providing excellent cardiac endovascular care to our patients.